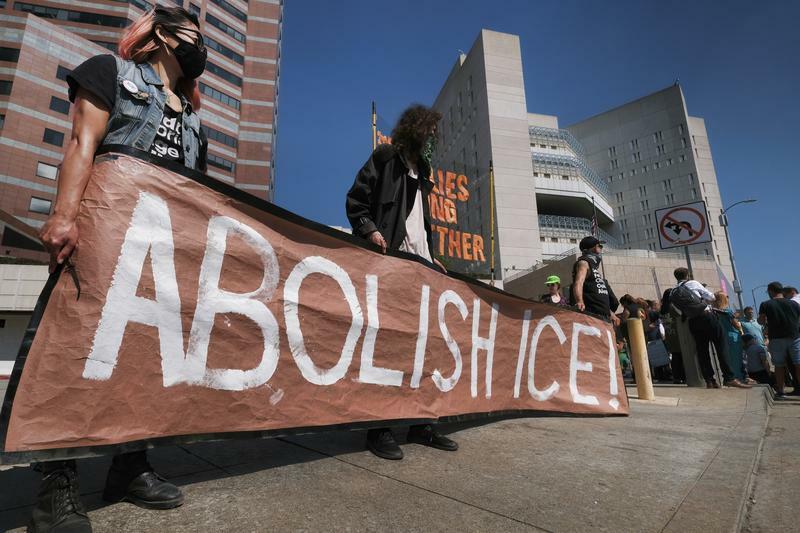 Protesters carry a banner that reads "Abolish ICE!" Trump derangement syndrome, that's what the president calls it, defined by Urban Dictionary as the condition in which a person has been driven effectively insane by dislike of Donald Trump. It derives from Bush derangement syndrome, coined by the late Charles Krauthammer as the acute onset of paranoia in otherwise normal people in reaction to the policies, the presidency, nay, the very existence of George W. Bush. For half the nation, that felt like a perpetual migraine. This feels more like passing a kidney stone the size of Gibraltar. Surely, if conservatives feel disenfranchised, so do the left as the center continues on its glide path to the right. After all, it was Richard Nixon who created the EPA and made affirmative action federal policy, Ronald Reagan who granted amnesty to 3 million undocumented workers, George H. W. Bush who brushed aside the GOP to forge a budget reconciliation plan with the Democrats and George W. Bush, well, he did launch an initiative to fight AIDS in Africa that saved millions of lives. That’s inconceivable now. Yesterday’s centrism is today's no-way extremism. Think of the political spectrum as the color wheel. Spun one way, a range of red hues appear in the window and the blue passes out of view. Or just think of it as a window. Call it the Overton Window, where you see only the policy options that are currently accepted or attainable. BROOKE GLADSTONE: Rachel Maddow was on it three years ago. RACHEL MADDOW: The idea of the Overton Window is that there's a fairly narrow window of proposals in any particular policy area that people will take seriously, that won’t get you written off as a kook. The way to move or expand that window is to advocate super-extreme positions, which change the realm of what's politically possible because after something super nuts has been floated, thereafter, slightly less nuts positions will start to look acceptable and moderate by comparison. BROOKE GLADSTONE: In other words, to recalibrate the center, offset the debate with infeasible extremes. JOSEPH LEHMAN: I think that’s one of the misunderstandings of the Overton Window. It’s not a negotiating technique. It's a model that describes how ideas and policies change. You know, this is what happens when you have an idea and you release it into the wild. It’s not your idea anymore. BROOKE GLADSTONE: Joseph Lehman is the president of the libertarian Mackinac Center for Public Policy, where Overton first posited his Window. JOSEPH LEHMAN: Journalists or pundits sometimes treat the Overton Window as if it is a tool designed for the purpose of manipulation, and that's not what it's for. It’s like saying, gravity is for the purpose of dropping pianos on people's heads. Well, you can do that but you, but you wouldn't want to. BROOKE GLADSTONE: He says society places limits on acceptable ideas, and the Overton Window simply clarifies which are acceptable and which less so, on a sliding scale. JOSEPH LEHMAN: And they don't change just randomly. They can be changed intentionally. So there have to be ways to debate ideas to make unacceptable things become acceptable or we’ll be stuck. BROOKE GLADSTONE: He says the Overton Window was intended not for politicians or activists but for think tanks and the people who fund them, especially the people who fund them. JOSEPH LEHMAN: The Overton Window idea was born out of need. We were trying to raise money and it was hard to help donors understand how it was that a think tank would make any difference in the world. People donate to lawmakers they like but think tanks don’t have a vote in the legislature, so we had to have a way of explaining that there's more to a piece of legislation than just the day of the vote. And so, Joe Overton came up with this idea that he called “the window of political possibility.” He never called it the Overton window. JOSEPH LEHMAN: That came later. Shortly after he was tragically killed in 2003, we, we thought, well, you know, we can take this idea that Joe began developing and let's name it for him. BROOKE GLADSTONE: It sounds like it was developed initially as a kind of explanatory/public relations notion. JOSEPH LEHMAN: You're absolutely right. So we said, look -- at that time in Michigan, there was no school choice at all. Your kids simply went to the school the government assigned him or her to. Now, we didn't have charter schools in the early days, there were no magnet schools, there was no going to a neighboring school district. Your only option was to pull the kid out and pay tuition at a private school. So how can we get from where we were to where we needed to be? If a politician would have proposed, hey, let's have a universal voucher, that politician might have found himself unelected. Anytime ideas move from society and into law, they don't change just randomly, they can be changed intentionally. And that is the work of think tanks. BROOKE GLADSTONE: On Mackinac’s website, the Overton Window is superimposed on a list of education policies and proposals on a libertarian freedom spectrum. At the top, no government schools, at the bottom, compulsory indoctrination. Inside the Overton Window of realistic policy options lay public school choice, just outside the Window towards what Mackinac deems more freedom, tuition vouchers and less regulated homeschooling. Eventually, Michigan got those and more. JOSEPH LEHMAN: Joe observed that politicians have to operate within a narrow range of policy options. Lawmakers usually are merely ratifying what the public has already decided that it wants. Think of it like a football field. If you only looked at the last 5 yards leading up to the goal line, that's where the legislature does all its work. And the ball would go across the goal line and points would go on the board and, you know, whoever was responsible for that would get the glory. But what you don't see is how that play gets set up, and that happens further up the field. That is where think tanks have their most influence. LAURA MARSH: Well, they have been very successful. When I wrote the piece a couple of years ago, we gave some examples of how Overton actually moved the window on some of the policy areas he worked on. BROOKE GLADSTONE: Laura Marsh writes for the New Republic. LAURA MARSH: He proposed privatizing prisons and a few years later Michigan has its first privatized prisons. He worked on what he terms “school choice” and “homeschooling” and that was expanded in Michigan. BROOKE GLADSTONE: Can you attribute those successes to Overton? LAURA MARSH: Well, certainly, Michigan is seen as a kind of bellwether state for a lot of these issues, a place where -- you know, Betsy DeVos is very active in Michigan politics and she’s a big advocate for school choice. So, you know, I think it would be kind of absurd to say that Joseph Overton achieved this all by himself, but I think that willingness to propose more radical policies aligns with the politics of the state and is part of a kind of bigger ecosystem in which those changes happened. BROOKE GLADSTONE: America and its media love politics, the stakes, the psychodrama, the conspiracies where shadowy figures maneuver in the margins and slip in and out of windows, especially now in the face of something like lunacy front and center. So the Overton Window is trending. WOMAN: He is what we call “opening the Overton Window.” This is a political theory where it’s becoming more and more acceptable to talk about things that used to be publicly off limits. CENK UYGUR, HOST OF THE YOUNG TURKS: Because he's moved the Overton Window to -- so far to the right and so for to -- into an insane asylum, that we now are rooting for Bob Corker. MAN: I do wonder if it does have this weird Overton Window effect where like Ted Cruz seems like, ah, he’s a sort of standup guy and he’s not -- Donald Trump. GLENN BECK: In doing my research on what’s happening in America and also for my new thriller, The Overton Window, I came across the ingredients that they put in the political process called the Overton Window theory. Now, you may not know it by name but you have had it used on you over and over again. BROOKE GLADSTONE: That was Glenn Beck back in 2010 on his new thriller in a genre he dubbed “faction,” completely fictional books with plots rooted in fact. His plot involved a messianic PR guy scheming to root out and replace democracy with a ruling class of self-appointed Ubermenschen, his mad method, indoctrination via the Overton Window, making the unacceptable first palatable and then inevitable. Lehman says Beck's book got the concept wrong. It’s not a manipulation. But Beck and his books still feature prominently on the Mackinac website because, heck, publicity. This excerpt is read by the anti-Beck Bob Garfield. LAURA MARSH: The tea party is often seen as a group that used the Overton Window pretty effectively. They’re an insurgent group who pulled their party toward their political views. Glenn Beck was a prominent kind of advocate for the tea party, so it's not exactly clear whether he doesn't like that kind of activist strategy. It felt to me more like he just worried that that could be hijacked by people on the left who had different political leanings from him. -- who is only 28 years old. SEAN HANNITY, FOX NEWS ANCHOR: And many are hailing Cortez as a rising star on the political landscape but, in reality, her policy positions are actually downright scary. This is your modern Democratic Party. Government-subsidized housing for everybody, tuition, free colleges. She wants to abolish ICE and, of course, impeach President Trump. RACHEL CAMPOS-DUFFY, FOX NEWS CONTRIBUTOR: Absolutely. LAURA INGRAHAM: -- of the far left and Marxists, the kind of stuff you hear at, you know, Thursday night seminars [LAUGHS] at a university. LAURA MARSH: Yeah, people have written a lot about how she’s moved the Overton Window to the left. She ran on policies like abolish ICE, Medicare for all and with her victory in the primary, other politicians in the Democratic Party have come out and adopted those positions or been more open about their support for them. I think that what we’re seeing now is, for the first time, people on the left actually using Overton Window consciously as a strategy, talking about it, trying to influence politics in the Democratic Party by consciously shifting where the sort of center of acceptable opinion is. ALEXANDRIA OCASIO-CORTEZ: We should protect families that need our help, and that is not what ICE is doing today, and that’s why I believe you should get rid of it, start over and build something that actually works. MAYOR BILL DE BLASIO: We should abolish ICE. We should create something better, something different. SENATOR ELIZABETH WARREN: I think there’s no question that we’ve got to critically reexamine ICE and its role and the way that it is being administered and the work it is doing, and we need to probably think about starting from scratch. LAURA MARSH: They saw that some of the failures of the Democratic Party in the 2016 election were often about staying timidly within this consensus, even when the base actually might like to go further left and, and look at more progressive policies. So they’ve been a lot more bold about striking out with much more daring statements of those policies. One of the main reasons that the Overton Window keeps getting used is that one of the activists and writers who was talking about abolish ICE, particularly, really adopted that term very enthusiastically, Sean McElwee whose name on Twitter is Overton Window Mover. 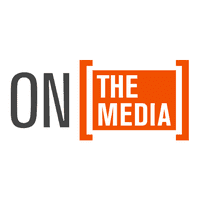 SEAN McELWEE: I think that moving the Overton Window involves simply introducing ideas into the public with a clear coherent vision and getting people excited about those ideas and interested in those ideas. BROOKE GLADSTONE: Writer and activist Sean McElwee. SEAN McELWEE: And it turns out that when you introduce people to the idea of abolishing a fascist agency dedicated to ethnic cleansing, it's actually quite popular. BROOKE GLADSTONE: McElwee clearly does not shy away from extreme progressive formulations outside the Overton Window. He just wants those extreme positions to pull the window to the left, whereas now, he says, it's monopolized by the right. SEAN McELWEE: So a great example is the recent sort of immigration debates that happened in Congress, which was you had this instance in which this representative, Goodlatte, introduce a very, very extreme right wing bill and then you had this “moderate,” in finger quotes, parts of the Republican caucus, introduce their proposal. And then this was referred to in most media outlets as a, quote, “compromise bill.” But, of course, no Democrat supported the compromise bill. REP. NANCY PELOSI: Sometimes you all repeat it, that it’s a compromise bill. It is not a compromise. REP. NANCY PELOSI: It may be a compromise with the devil but it’s not a compromise with the Democrats. SEAN McELWEE: It was a compromise within the Republican caucus. So I imagine a world in which Pramila Jayapal and Mark Pocan introduce legislation to abolish ICE and pay reparations to detainees and then some more centrist members of the Democratic conference introduce a bill that says, what we should really do is dramatically rein in ICE, investigate human rights abuses and introduce a comprehensive path to citizenship, and that is referred to as a compromise bill. As soon as abolish ICE becomes a mainstream position within the Democrat party, I am going to argue that we should abolish ICE and pay reparations to detainees and also decriminalize migration. And, you know, when that becomes a centrist proposal, you know, I’ll think of something even more left wing. BROOKE GLADSTONE: Ah, so you are really talking about the Overton Window. You’re talking about going for asks that you don't anticipate you'll get anytime soon, like reparations, in order to make less radical positions that are still far to the left of what has now become the norm more palatable. SEAN McELWEE: Exactly. The one thing I would add though, if, if I may note the limitations of the idea, is that it is not a substitute for doing work. At the end of the day, abolish ICE had to become something that people showed up to protests holding signs in favor of. Like, you have to have a movement behind it because if you don't have people yelling in the streets, people won't take it seriously. I think there’s just a temptation among people who solely understand politics through Twitter of believing that they're doing radical social action by saying something extreme, but the reality is, is that to the extent that the movement gains power it comes from people who are organized. So the Overton Window is a tool but it has to be used in concert with indirect action to be powerful. BROOKE GLADSTONE: You said politicians don't move the window. But [SIGHS] what do you think about Trump? JOSEPH LEHMAN: I’m surprised it took until now for you to ask. BROOKE GLADSTONE: Joseph Lehman of the Mackinac Center. JOSEPH LEHMAN: I think sometimes the tail can wag the dog. You, you can get, you know, a truly transformational figure who is a leader in the fullest sense of the word. And I have no idea if Trump is that kind of person. He’s a very odd political character, as everyone knows by now, and I wouldn't want people to try to describe Trump’s actions as an attempt to shift the Window, ‘cause I don’t know if that's what he's trying to do. BROOKE GLADSTONE: So his questioning NATO, his questioning free trade, his embrace of Duterte and Kim Jong-un and Vladimir Putin and his disparagement of the EU, not to mention all the racist stuff, this isn’t moving the Window on acceptable discourse? JOSEPH LEHMAN: -- because there's so much more going on with him. He’s just so unconventional, he defies categorization. He’s got the ability to light all of his detractors’ hair on fire, simultaneously. What does that do to the Overton Window? I have no idea. But it creates a lot of noise and then he seems to have learned how to capitalize on that. BROOKE GLADSTONE: And he does, pouring more diesel fuel with every escalating outrage. Trump and his constituents, as seen in his media and poll numbers, relish the wailing of his foes. Who wouldn’t? We began this segment with derangement, so let’s end it there. Apparently, Einstein did not say that the definition of insanity is doing the same thing over and over again and expecting different results. According to the website Professor Buzzkill, the definition of “insanity,” quote, first appeared in 1981 in a pamphlet published by Narcotics Anonymous. “Insanity,” it said, “is repeating the same mistakes and expecting different results.” Crying, oh the humanity, is not a strategy. It’s an addiction. It leaves a person sticky and spent and adrift in the rag and bone shop bus station bathroom of the soul. There is a window out of there, formerly called the window of political possibility. For the once blissfully complacent hair-on-fire crowd, it’s currently out of range. It took 30 years of careful planning, heaps of money and the diligence of think tanks for the right to claim it. But the Window skuds on the political wind and the current occupants don't have a lease. Coming up, 30 years after Congress discovered global warming, one veteran environmental reporter wishes he'd talked to a shrink about the national psyche. ANDREW REVKIN: I’ve come to see the emergence of global warming as a symptom of a much profound juncture in human history. We’re emerging as a species that just drifted along for most of its existence, mostly at the whims of nature. With fossil fuels, you know, the last 200 years we went from a billion people to 7.7 billion or so, all seeking middle class lives.